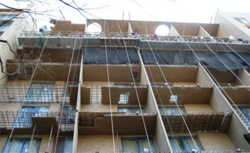 Building upon its reputation for excellence as a prominent consulting structural engineering design firm, and looking towards the future, TCE recognized the opportunity and need for repair and restoration design services of rapidly deteriorating and unstable structures. 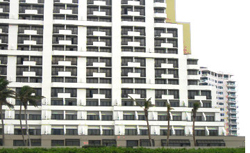 The firm put into motion a plan to address these needs for modernization, replacement, restoration and the preservation of history, and typically to increase the lifespan of all critical building components, including natural and failed circumstances such as failed waterproofing, corrosion, cracking brick and foundation settlement, termite damage, wood rot and deterioration, hurricanes and collapse. 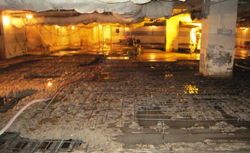 Since the early 1990's, TCE has had many opportunities to combine the firm's wealth of experience in new construction with the firm's waterproofing services for new projects, such as the International Monetary Fund, Waterfront Mall, Lionsgate @ Woodmont Corner, One Park Crest, Cameron House Apartments, Lafayette Tower, 1150 Ripley Place, and O Street Market. 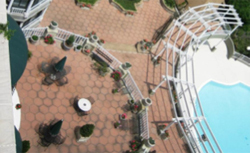 TCE’s familiarity with older projects it previously designed, which have fallen into disrepair over many years such as Washington Harbour and Georgetown Park Mall, is of benefit to its clients in many cases where these projects now require repair and restoration services.